Well, now that 2013 is over, absolutely the worst year of my life ever, I've set some new goals and blogging regularly is one of them! I contemplated starting a new blog, just for my sewing and quilting projects as that is what I'm doing most days now, but figured I didn't need the added stress of having another blog going. I'll still post my papercrafts and art projects here on this blog too when I get back into the swing of things. One of my goals this year is to definitely finish up one of the many UFO's floating around my sewing desk. This year I'm going to participate in a Lovely Year of Finishes with Melissa from Sew Bitter Sweet Designs and Shanna at Fiber of All Sorts! You set a sewing goal for yourself that month and finish it! I definitely need the motivation and love deadlines! 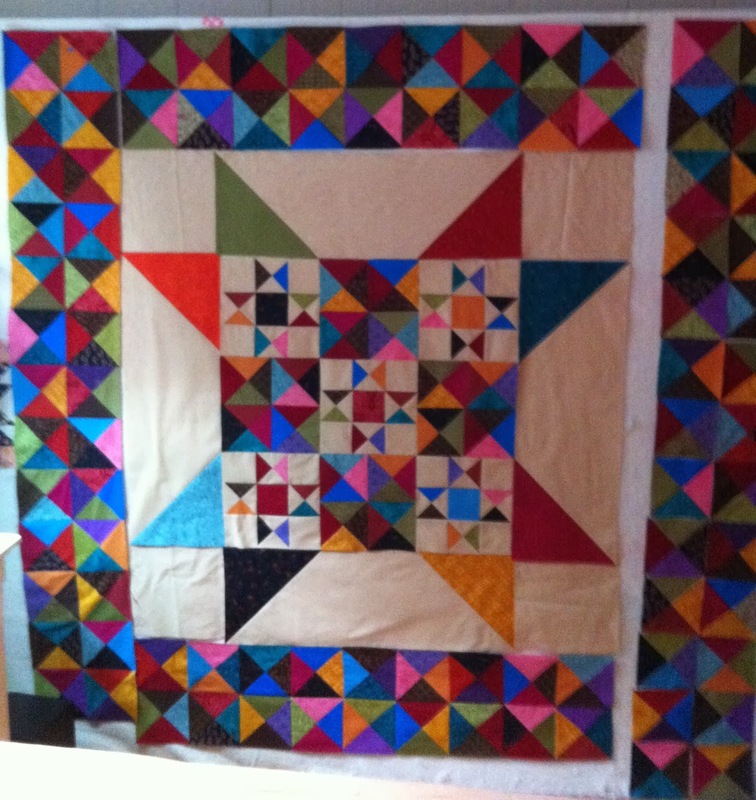 This month, I'm going to finish the applique and piecing of this quilt top, Late Bloomers, by Kim Diehl which was published in the April, 2012 issue of Better Homes and Gardens American Patchwork & Quilting. I have only one panel left of the applique to finish then I can finish piecing the top together. 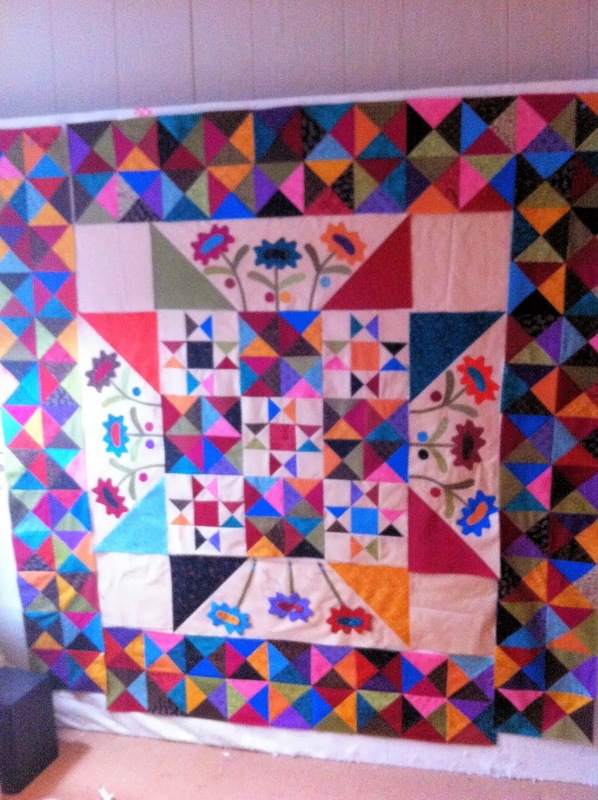 Sorry for the basement photos (that's where I sew and my design wall is). I also joined a few (just a couple lol) BOM's and have two commissioned baby boy quilts to start on this month so lot's of sewing time for me (hopefully). I love how bright and cheery this is!! I bet it's awful nice to work on this time of year. I'm curious, what fabric will you use in the corners of the inside the outer border? This looks so pretty! Love the solids and the appliqué adds so much! I have a soft spot in my heart for Kim Diehl patterns. Yours is so lovely in the brighter fabrics and solids too. It sounds like you've got a busy month ahead. Good luck with your applique.